Ukraine must "yell about the ecological catastrophe in Donbas". The flooding of coalmines and raise of ground waters in Donbas will drastically increase the level of radiation in the region, so it time to resettle the population from the region, Ukraine's deputy minister on temporarily occupied territories and internally displaced persons Heorhiy Tuka said on Channel 5 on 29 June. "It's not about saving Donbas, it is long past the recovery. It is time to resettle people from the region, because people will not be able to live there for another ten years," he said, referring to a report of the National Academy of Sciences of Ukraine on the humanitarian disaster in Donbas. 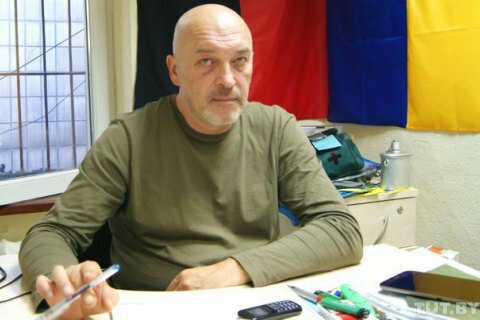 Meanwhile, pollution and radiation will affect the territory of Russia as well, Tuka said. "It is our common misfortune. No wall exists to hide from it," he said. According to the deputy minister, 88% of the reserve sources of drinking water in the part of Luhansk Region controlled by Ukraine have already been declared unfit for use. He believes that the ecological disaster in Donbas should be discussed at international level. "It is my understanding that the problem should be taken to an international level... We must "yell so the whole of Europe know about the possible consequences," he said. UNICEF said in an earlier report that 750 thousand children in Donbas can remain without drinking water soon.